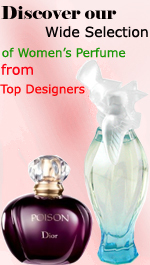 Lovely Perfume for women by Sarah Jessica Parker has fascinating floral woody fragrance that climaxes the fragrance. An intimation of bright-city-bright-lights and lavender opens the scene for the romance of orchids and the intimacy of musk. The pink bottled perfume, capped with a sphere on the base of which a gray ribbon gives a retro touch, is adorable. It’s absolutely divine and charming.